You might have woken up this morning and noticed a little message in the top lefthand corner of your phone that says ‘Qasr Al Hosn’. What’s that all about? It’s celebrating a historic landmark in Abu Dhabi, that is set to re-open on Friday after more than a decade of conservation and renovation work. 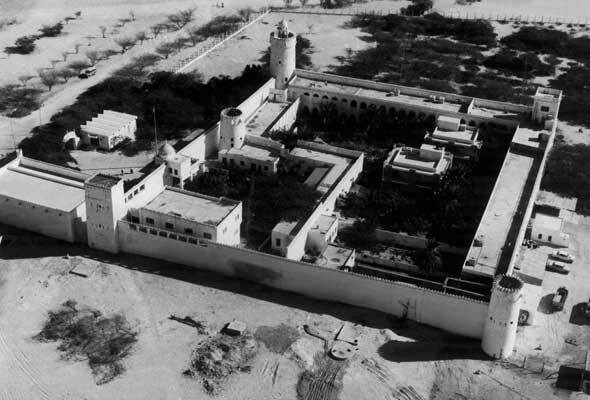 Qasr Al Hosn is the oldest and most significant heritage site in Abu Dhabi. The site is made up of two buildings – the inner fort, which dates back to 1795, and the outer palace, which was built in the 1940s. Over the past 200 years, Qasr Al Hosn been home to the ruling family, the seat of government, the consultative council, and the national archives. But on Friday, it will re-open as a museum, that will trace the city’s development from a settlement reliant on fishing and pearling to a modern metropolis. It’s likely the ‘Qasr Al Hosn’ phone message will remain until the landmark’s grand opening on December 7. The opening of the site will be marked with a week-long celebration that will include free tours, workshops and musical performances. Qasr Al Hosn will be open from 10am to 10pm on weekdays during opening week, and until 11pm on the weekend. Entry to the Qasr Al Hosn permanent exhibition costs Dhs30. Find out more on the website.